Bright and Breezy Crafts: Christmas glitter! 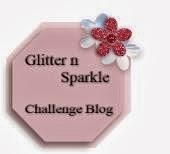 So, the last challenge of the year has just started at Glitter n Sparkle.. I got this delightful image from BUGABOO. which i sprinkle after applying my glue pen to the little areas i want glittering. to get it very precise! I coloured the cats with my promarkers. the frostyville border which I diecut on my bigshot. on offer last year, but hadn't got round to using yet. The little stars are the leftover cutouts from the frostyville border. A fabulous card - love the cute image. 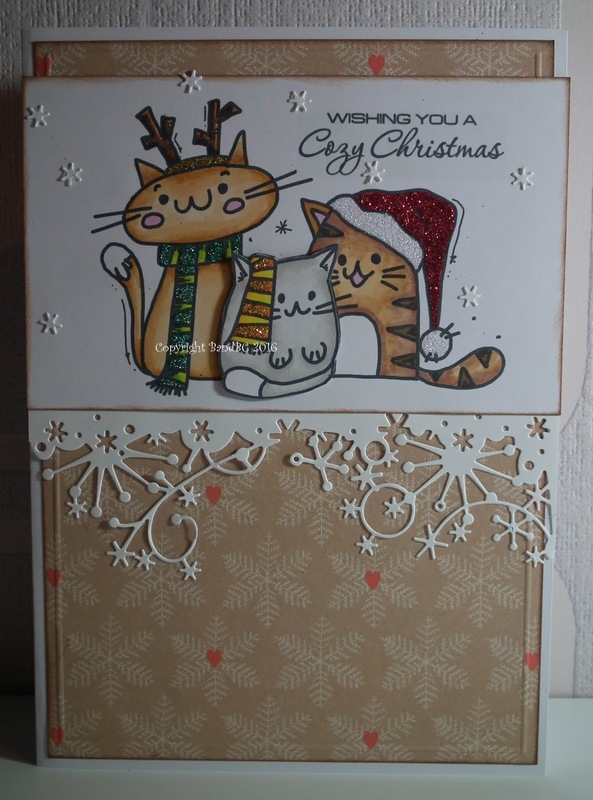 What a sweet card with those adorable festive cats Vic. You.ve coloured them beautiful. This is gorgeous - love your style! LOVE this adorable card! As a cat lover, it is especially appealing to me! Lol! 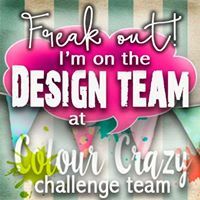 Darling image and beautifully colored and designed! Thanks for joining our "Snow" challenge at Dies R Us! Great card, loving your style. OMG this is so, so cute! Thanks so much for playing in our ‘SNOW’ challenge at Dies R Us! Please come back again soon! Gorgeous card, super cute! 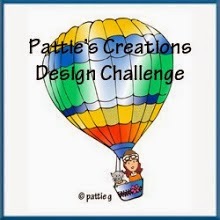 Thanks for playing along with us at Di's Digi Designs Challenge. Gorgeous card, I love the image. 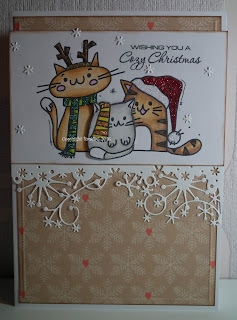 Thanks for joining in this months Christmas Time challenge over at Crafty Calendar. Don't forget to become a follower of our blog if you're not already.